First off, what sorts of things do you make & and how does your career intersect with tabletop gaming? I make hand-poured soy candles with geeky and pop culture themes. The candles I make are in glass jars with label art that celebrates a theme and a scent that matches that theme. 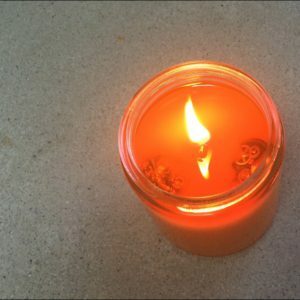 My first Kickstarter was for the Wheel of Flame candle line, which is meant to be used to augment various tabletop games by creating a fragrance component to the game world. There are also metal dice embedded in each candle. 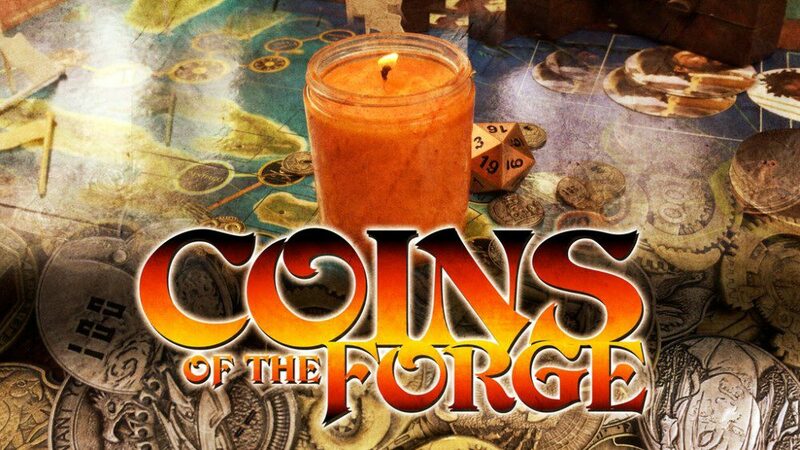 That Kickstarter was so successful that I wanted to revisit the idea using some other gaming elements, which is how I came up with my current Kickstarter for the Coins of the Forge line. Like a lot of folks my age, I started off playing family board games like Clue and Monopoly. It wasn’t until my adult years that I started dipping my toes into the RPG waters. I’m admittedly not as much of a gamer than some of my friends but when I do get a chance to play I love it! Currently, my partner Bob and I are playing a lot of board games that can be played with two people. We find it’s a great way to spend time together without screens and gets your brain to work in ways that have atrophied since the internet took over our lives. I’ve always been inspired by music, even as a little kid. I remember putting records on the turntable as a kid and being very excited about listening to a certain song. I’m still inspired by music, and I’m inspired by people who are kind and passionate. Bath Sabbath soap. They make gorgeous soap, including this one that I have that is a giant Medusa head. I really like the cross stitch kits from An Unexpected Hobby–great gifts and a fabulous way to create something with all the elements provided for you. California Coldblood Books is a small sci-fi/fantasy publishing company here in Los Angeles that are publishing some great books. Disclosure: I work for CCB and am in love with the owner of the business, but I really like the books that these authors are writing. 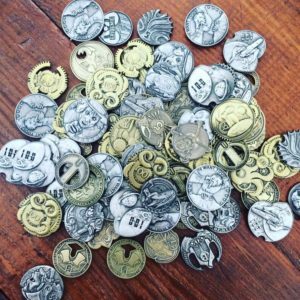 You’ve had a massively successful Kickstarter (Wheel of Flame) and you’re currently in the middle of a new campaign (Coins of the Forge) – what have you learned, what’s changed for you since your first Kickstarter? I think I learned the thing that all Kickstarter creators learn on the first go round: shipping will always cost you more than you think. 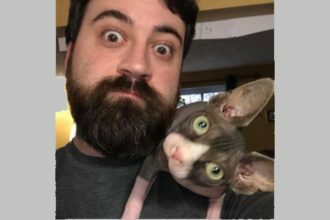 The first campaign helped me find a work flow when producing large batches which will really come in handy this time around. 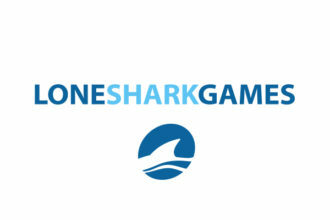 What role do you see Kickstarter playing in your career moving forward? The excitement following the WoF campaign really pushed us to a new level, allowing us to purchase equipment and build a fan base in a way we could not have done without crowdfunding. There are so many ways to leverage Kickstarter as a pre-purchasing tool. You can gauge interest. You can take advantage of having funds up front to buy in bulk and bring the cost down. You build excitement over the time it takes to run a campaign and produce the product, and I find it really brings your customer into the fold. I’ll continue to use Kickstarter in the future, absolutely. Can you talk about what you’re working on now/upcoming projects (other than Coins of the Forge)? The Kickstarter really does take up a lot of time because I’m doing a lot of the scent testing to get them fragrance just right. Between that and making and fulfilling orders for my existing products and working with some private label clients I don’t have much time to work on new designs. We have a list of pop culture themes we want to develop into a candle when there is a lull (probably in January). Most of the candles I make are based on properties that I really dig. I love musicals, so I made a Hedwig candle and a Little Shop of Horrors candle. Though there are some things I am a huge fan of that I haven’t paid t ribute to with my craft yet because it has to be just right or I won’t produce it. For instance, I am a huge Buffy fan but I can’t find the right scent and design for a Buffy candle. I think about it all of the time! Some of the Coins held within. Find a way to stand out. I know it sounds cliche, but if you want to make money crafting, it’s helpful to find a niche. But mostly, do what you think is fun! You can learn more about Boonzy Arts by checking out their Instagram, Twitter, and/or Facebook! You can shop for candles at their webstore or support their currently running Coins of the Forge Kickstarter.